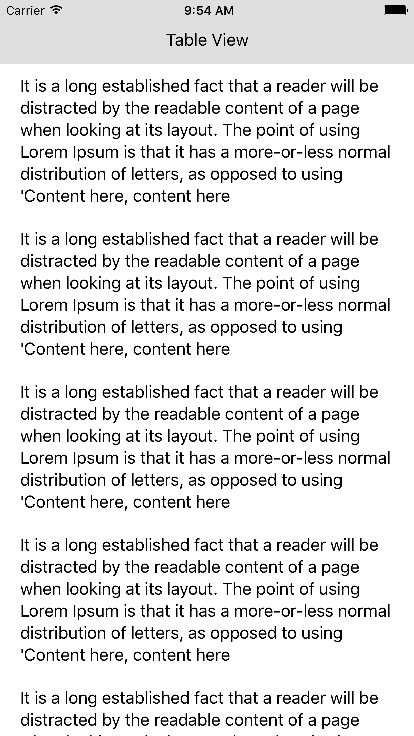 Remember that <table> tag we used to write for HTML table? 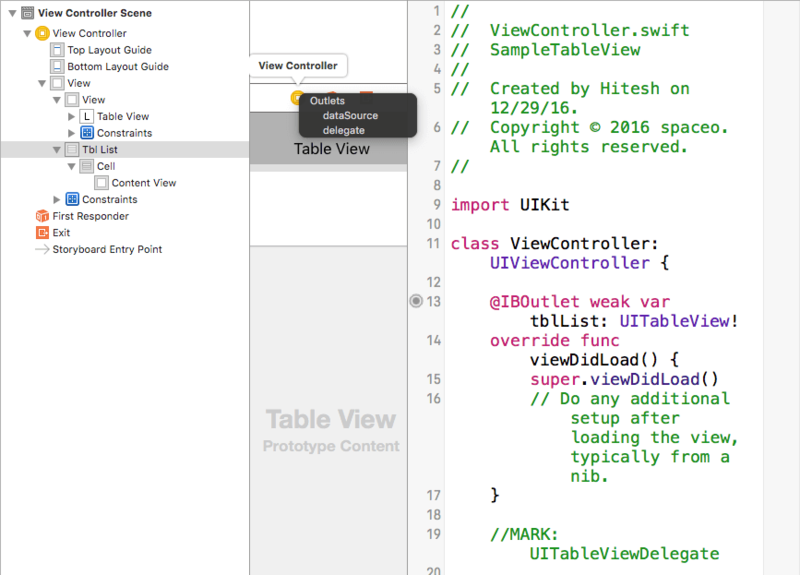 Well, the iOS tableview is similar to it. The iOS tableview basically helps to build a good user interface by managing taps on rows and columns by app users. In fact, it helps to manage the app elements and contents quite easily for iPhone app development. 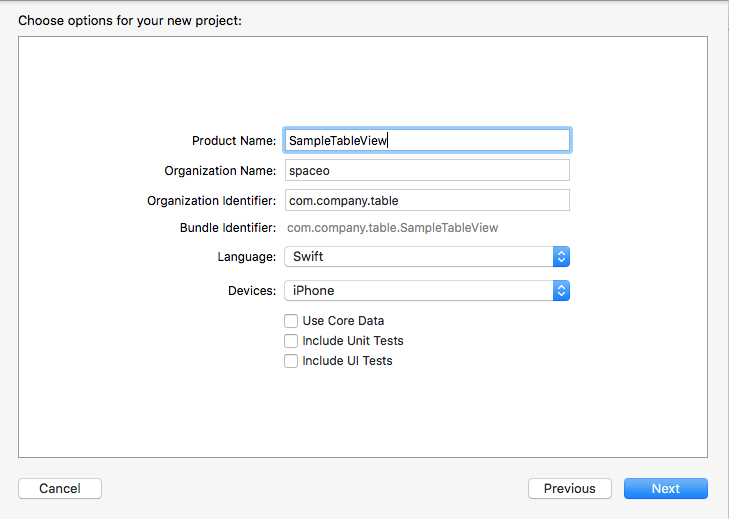 However, first let’s find about iOS tableview in brief. 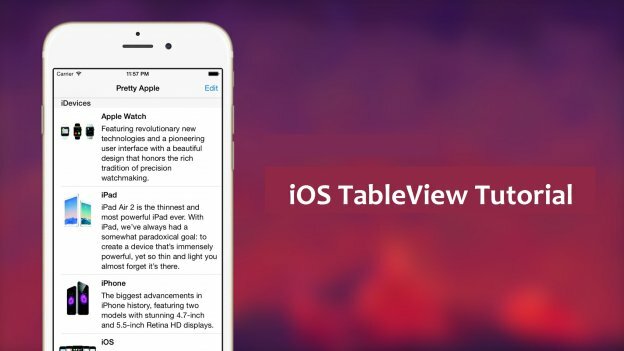 The iOS tableview is one of the common UI elements in the iOS apps. And the best example of tableview is the built-in phone app in your device. The contacts are presented in table view. 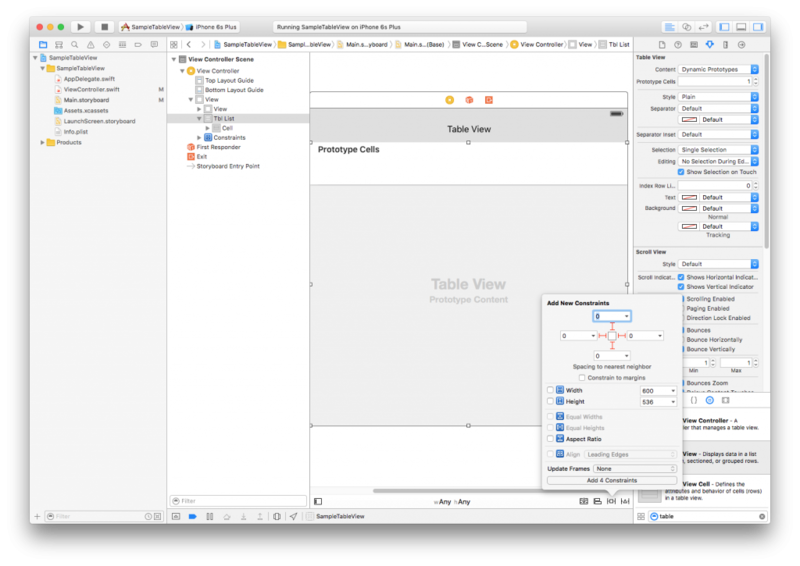 However, the iOS tableview is not only designed display textual data, but it also allows developers to display the data in image forms. In today’s iOS app tutorial, we’ll build an iOS app to demonstrate how to implement the iOS tableview for iPhone app development. First, open XCode, and create a new project under file menu. 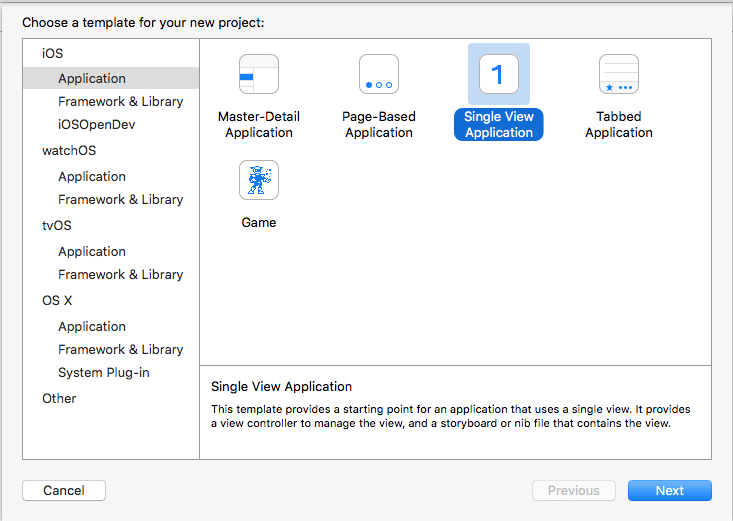 Once you create a project successfully, go to Main.Storyboard and select ViewController. Drag and drop UITableView from “Show the project library” section. 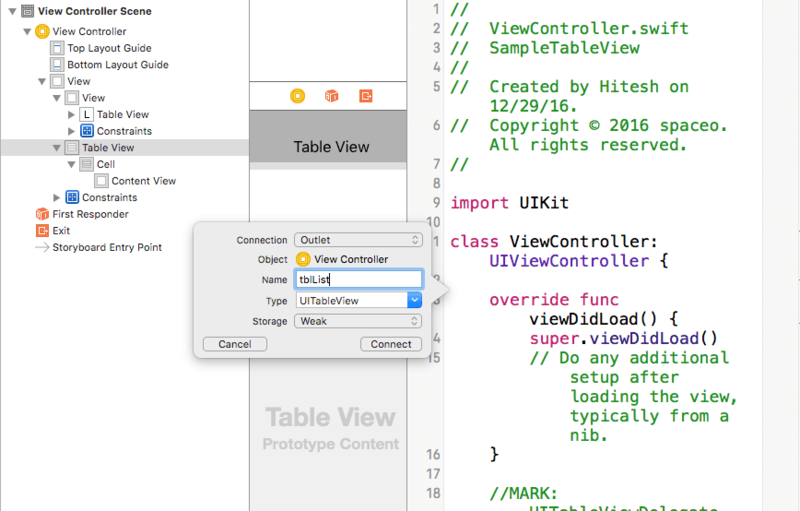 Fit the UITableView in the project ViewController. 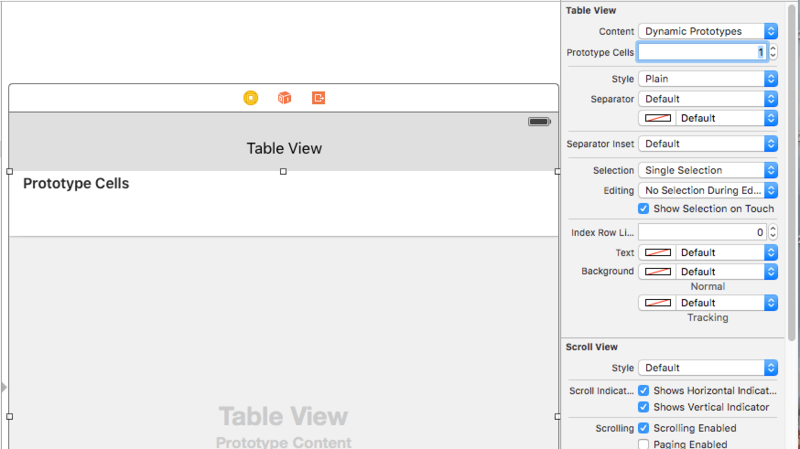 Now select tableview, go to attribute inspector, and add Prototype Cells count. This will create a cell in Tableview. Now select the cell, and go back to the attribute inspector. Add identifier in blank textfield. Now set datasource and delegate of tableview. Once set the delegate and datasource, set auto layout to the table view. 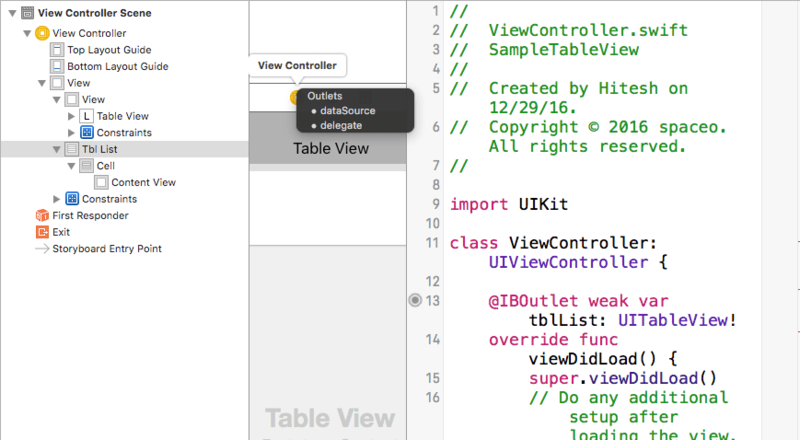 @IBOutlet weak var tableList: UITableView! 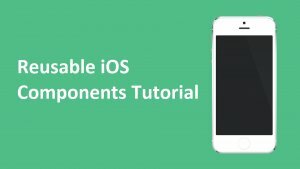 Now if you have a startup idea, or working on you next iPhone app development project, do remember to use iOS TableView component while you build iphone app. 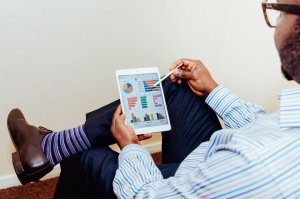 And in case, you need help, consult with an expert developer or hire iPhone app developer to implement this component right. 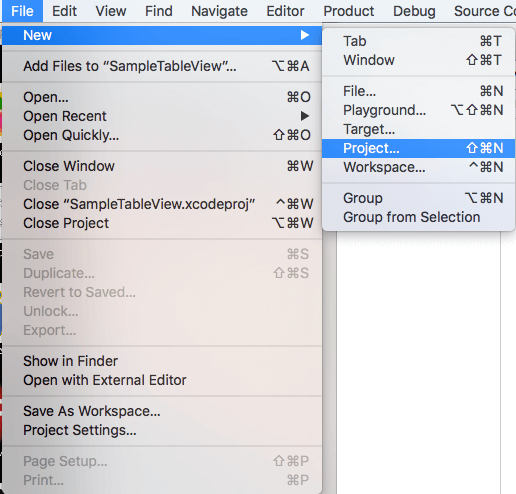 Grab a free copy of tableview example demo from Github. This page was last edited on January 31st, 2019, at 7:57.